Argentina star man Lionel Messi has revealed he will retire from international football only after winning the World Cup for his country. 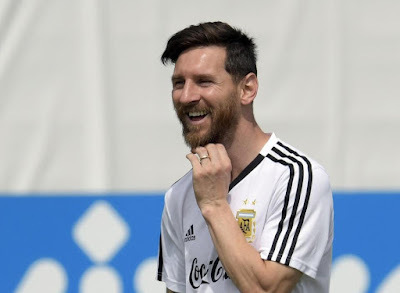 Argentina are currently on the brink of crashing out of the World Cup and only a win against the Super Eagles of Nigeria on Tuesday can guarantee them a place in the next round. Messi Who clocks 31 today, has now reveal he is not planning to retire from International football now and only winning the World Cup for the country can make him do that. Argentina will try all they can to hurt the in form Nigeria team. It might not really be a hard task for them as they always beat the Nigeria team in every World Cup games.